Mission: To enhance the innovative educational opportunities through funding resources that enrich a student’s educational experience. 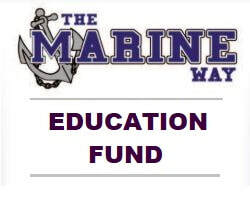 The Marine Way Education Fund is a part of the Marinette School District so it falls under the non-profit organizational status of the District. The foundation fund is dedicated to enhancing educational opportunities through business and community partnerships. The Oversight Committee consists of volunteer community leaders, teachers, and parents who partner with school district professionals. Through the awarding of the selected grants, the Marine Way Educational Fund Committee will assist in ensuring the students in Marinette’s early learning center, three elementary schools, middle school and high school experience a relevant, successful educational experience. The Fund is designed to cover costs associated with innovative educational experiences that are aligned with the District's Decision Drivers.